Immaculate spacious fully developed family home features 2400 sq ft with 5 bedrooms, 3.5 baths and double garage. Excellent floor plan on all 3 levels with natural light from large windows throughout. Main floor offers hardwood flooring with a generous foyer, 2-piece bath, private den & open concept kitchen with large pantry & eating bar over-looking a spacious dining area & living room complete with gas fireplace & large windows looking onto a stunning private backyard. 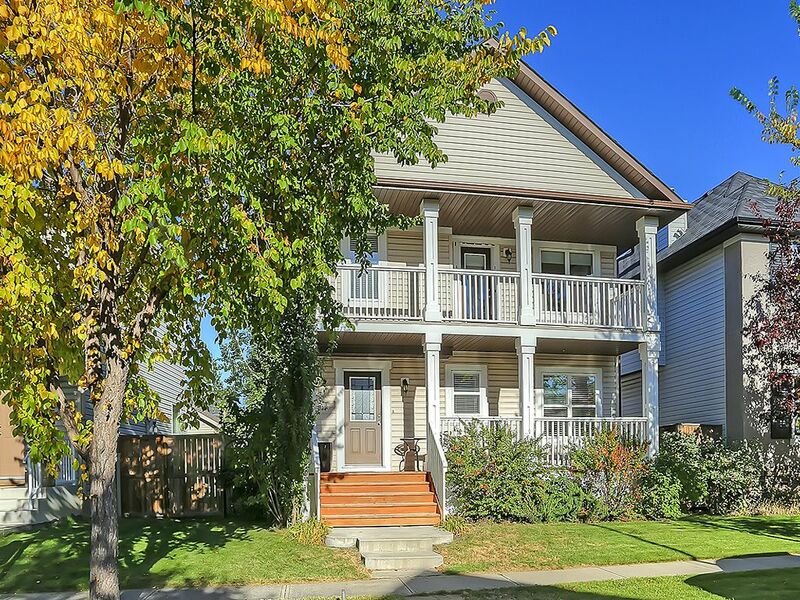 Upstairs you will find an updated 4-piece bath, 2 large bedrooms, a private master bedroom with 4-pc ensuite, spacious walk-in closet and steps out to a front veranda overlooking the tree-lined quiet street. Professionally developed basement features hardwood flooring throughout, 2 large bedrooms, 3-piece bath, entertainment room with wet bar, built-in shelves & surround sound. East facing private backyard is complete with an abundance of greenery and detached double garage with loft. Close to parks and schools! Check out our 3D tour! !